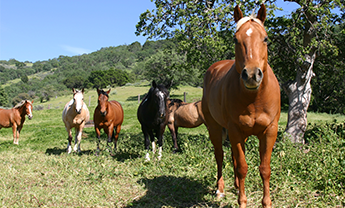 Whether you own a horse for the simple pleasure of caring for these majestic creatures, or you use them to help you with your livestock, you want your horses to be healthy and well provided for. Thrashers Feed and Supply provides feeds with the best nutritional value and quality, according to research-backed data. Whether you go to our store in Woodstock, Sumiton, or Bessemer, Alabama, we offer some of the same great brands that we offer for your livestock, and we have feed for those horses with unique dietary needs.